Dermablend's Acne Foundation Set has been carefully curated to promote a flawless, perfected complexion. The camouflaging foundation provides twice the coverage of traditional foundation, whilst the setting powder locks makeup in place all day. Expect a long-wearing, airbrushed-looking base. Non-comedogenic and non-acnegenic. Free from sulfates, phthalates and triclosan. 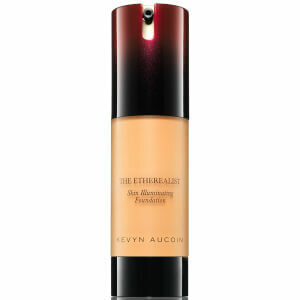 A medium to high-coverage liquid foundation developed for oily, combination and acne-prone skin. The smoothing, oil-free foundation is suitable for all skin types, including those with sensitive and intolerant skin, and effortlessly glides over skin, blending easily for a seamless, natural-looking finish. Utilizes exclusive Camo-Pigment® technology to deliver exceptional color coverage that camouflages skin concerns such as redness, uneven skin tone and blemishes. Fortified with innovative resurfacing technology, which is able to address the look of uneven skin texture, visibly level bumps and smoothen the appearance of scars. Natural, matte finish for up to 16 hours. SPF 25 for ultimate skin protection. Free from oil and SLS. A weightless, translucent setting powder that sets makeup in place for up to 16 hours with smudge and transfer-resistant wear. Blending effortlessly onto skin, the perfecting formula delivers a mattifying veil to keep makeup looking flawless and shine-free for longer. Ideal for baking, setting and finishing, the setting powder will lock in foundation and under eye concealer for an all-day, airbrushed appearance. Suitable for all skin types and tones. Foundation: Apply gently using fingertips or makeup sponge, such as a blender. Start with the inside of the face and blend outward. 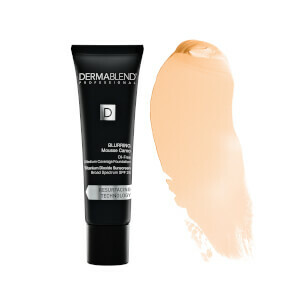 If additional texture coverage is needed, apply using a tapping motion to ensure coverage. Setting Powder: Setting Powder should be applied to skin after applying a Dermablend product. Pat on generous amount of Setting Powder. Wait 2 minutes. Brush off excess powder. Foundation: Active ingredient: Titanium Dioxide 6.8%. Inactive ingredients: Water, Undecane, Dimethicone, Glycerin, Tridecane, Polyglyceryl-4 Isostearate, Pentylene Glycol, Cetyl PEG/PPG-10/1, Dimethicone, Hexyl Laurate, Magnesium Sulfate, Disteardimonium Hectorite, Trihydroxystearin, Cellulose Gum, Aluminum Hydroxide, Disodium Stearoyl Glutamate, Acetylated Glycol Stearate, Acrylates Copolymer, Ethylhexylglycerin. May Contain: Titanium Dioxide, Iron Oxides. Setting Powder: Talc, Methylparaben, Hydrogenated Lecithin. [± May contain Cl 77491, Cl 77499, Cl 77492 / Iron Oxides, CI 77891 / Titanium Dioxide].